Helahel is one of the very few Muslim matrimony sites which are completely free. 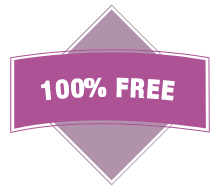 There are many matrimony sites which claim to be free but unfortunately aren’t actually 100% free. Some sites won’t charge you to join but will limit the number of profiles you are able to view and then make you pay to view more. At Helahel, we don’t put a price on a matrimonial match! Our site is completely free to sign up to and will give you instant access to all profiles. So, put your credit card away because all we want is for you to find your perfect marriage match! Helahel is a place for single Muslims to interact with others who hold the same traditional Islamic values and meet a partner for marriage. At Helahel, we want to help build strong relationships built on shared principles and trust, which is why this site is completely free to use. 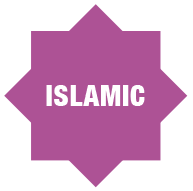 Simply sign up and browse single Muslim profiles until you find one that matches your own values before interacting. This is a space for singles to safely discover a wider range of marriage options without feeling pressured to interact with unsuitable matches. At Helahel we pride ourselves on being one of the only truly free Muslim matrimonial sites for single muslims. Helahel has been designed to allow you to search for your ideal life partner in a safe environment while following traditional Islamic principles. While you may be searching for Muslim Dating, this site is for Muslim singles to meet a life partner with similar values. Our goal at Helahel is to help singles discover the wonder of Muslim marriage in a safe place. When any single Muslim signs up to Helahel, details are strictly never passed on to any third parties. 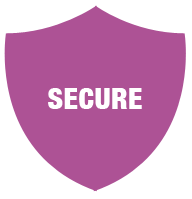 Your details are securely stored on our database and cannot be accessed by anyone else. Only registered users can browse profiles, so you can be assured that only genuine Muslims can see the information that you are happy to display. If you are a modern Muslim who believes in Muslim dating for a successful marriage, you have come to the right place! At Helahel, you are able to peruse profiles at your own leisure until you discover the one that matches you best. This way, singles are able to meet more likeminded people and aren’t limited to your local options such as school, work, the Mosque or wherever you can usually be found at. Dating for Muslims is very different to regular dating – traditional values are always upheld and the purpose of ‘dating’ is to seek a husband or wife. Helahel understands that there are Muslims who wish to widen their options when it comes to finding a partner, so we have created this site to help those find love in a well-matched Muslim partner. Q. Are Helahel Members Genuine? A. Yes! While anyone can sign up to Helahel, our admin team work hard to ensure only genuine profiles remain on this site. If you suspect a user is not genuine, you can report users on their profile page. Q. Is Online Muslim Dating Safe? A. Yes, if you adhere to the rules and never give out personal information. We recommend exchanging messages for a few weeks before giving out further contact details such as social media or phone numbers (never your home address). If you have been talking for a while and have reached the stage where you wish to meet, always let friends and family know. Always meet in a public place and take a Wali or friend with you - this will also ensure the meeting remains Halal. A. Visit the sign up page or scroll to the top of the homepage to fill in the registration box. We just require your name, email address and password to set up an account with us. Q. How Old Do I have to Be to Sign Up? A. All users must be above the age of 18 to register. Users under the age of 18 will be strictly deleted. A. We understand that passwords get forgotten, so we’ve created a forgotten password page to create a new one. Q. I’ve found a Partner! How Do I Delete My Account Now? A. Congratulations! You can login and head to our delete account page once you no longer require our help. Q. I Have a Question for Other Members, Is There Somewhere to Share This? A. Absolutely! Visit the Helahel forum to post any questions or thoughts you may have. Please adhere to the terms and conditions while using this service – you can report users for violation of these terms and an admin member will look into it. Latest discussions from our single Muslim matrimonial forum. Please feel free to check out our friends sites and other online single Muslim and Islamic marriage resources.